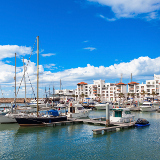 Agadir is a bustling port city located at the foot of the Atlas Mountains in Morocco. Since recovering from a devastating earthquake in 1960, the city has been partially rebuilt, creating an interesting blend of Arabic and Western architecture. 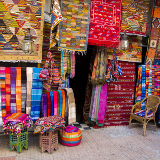 Agadir is home to the largest souk market in Morocco and is the location of many classic films. Cheap flights to Agadir are now available for a limited period of time, so prepare to be seduced by the ornate architecture and aromatic scents of this romantic Arabic city! Agadir is home to Agadir–Al Massira Airport (AGA), located 35 minutes from the city centre by car. Agadir is a dynamic fusion of different cultures: from the varied architecture, to the people comprising of a vibrant mix of Arab, Caucasian and North African ethnicities. Flanked on one side by the ocean, and the Atlas Mountains on the other, Agadir has a rich natural landscape. 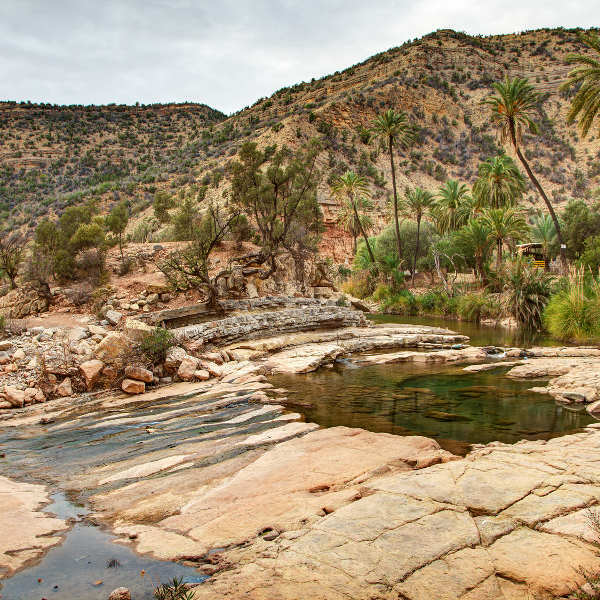 Just beyond Agadir lies the famous Sahara Desert, which adventurous trekkers can venture into on guided day hikes. 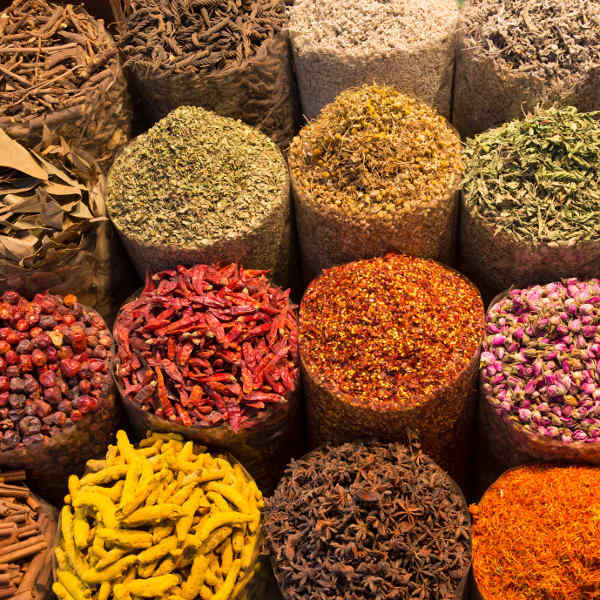 Honouring its mixed heritage, Agadir is the centre of a gastronomic fusion of herbs, spices and flavours influenced by Spain, France and Arabia. Try a traditional Moroccan tagine, Harira Lamb soup and Moroccan mint tea. Morocco enjoys year-round warm weather due to its Mediterranean climate. High season in Agadir takes place between May to November. During this time temperatures are at their warmest and flocks of tourists visit the city to enjoy its beaches and delicious food and drink. The quietest season runs from December to April, when temperatures are lower. The best time to visit Agadir would be during its low season (December to April). At this time, the tourist crowds are smaller and quieter, and temperatures are not much lower than during peak season. It is advised that western tourists do not visit Agadir during the holy month of Ramadan, when shops and restaurants close early due to the fast. Overlooking the ocean and backed by the majestic Atlas Mountains, Agadir is a celebrated international destination for visitors looking to get their fill of sea, sun and delicious food! Most famously known for its pristine white beach and blue waters, Agadir is a secluded haven for beach lovers. A host of religious and cultural activities in the city are also available. 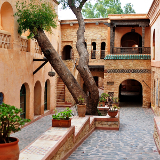 La Medina, located just outside Agadir, is a constructed Berber-style fort, and is a kind of walk-through attraction consisting of a museum, shops, a hotel and an exotic garden. 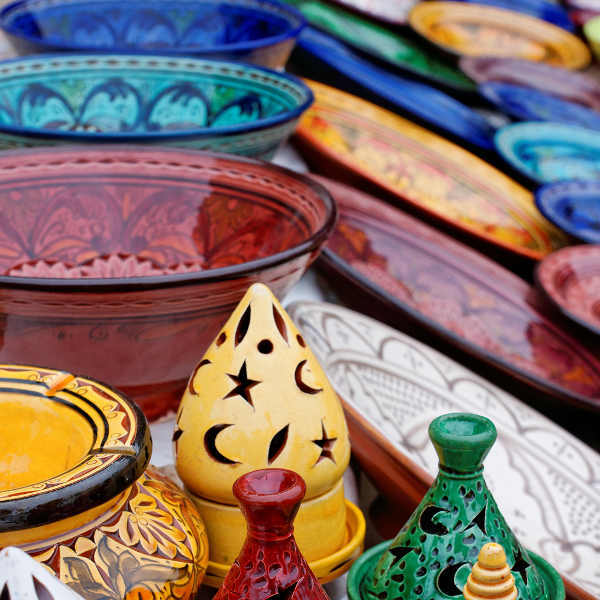 Agadir also hosts a range of bustling souks where visitors can browse to their heart's content, finding rare collectibles and putting their bargaining skills to the test. Compare several airlines, and book your cheap flights to Agadir online at Travelstart. Morocco is generally a very safe country to visit and violent crime towards tourists is rare, if not unheard of. Agadir streets are filled with uniformed local police consistently patrolling the streets to ensure the safety of its citizens. Agadir is an extremely safe city to walk around in, during the day and night. As with any city, petty crime and scamming does occur in Agadir. Keep a watchful eye on your valuables and possessions, especially at busy areas like marketplaces and bus stops. Take copies of important documents and do not carry large amounts of cash around in your wallet. If you are unfamiliar with the city streets do not walk them at night, rather catch a taxi cab. Tap water is not safe to drink, rather purchase bottled water. Required vaccines include vaccines for Hepatitis A and Typhoid. Speak to your GP about additional recommended vaccines for travelling to Morocco. First-time visitors and visitors keen to be near the beach should stay in the popular tourist sector of Agadir, appropriately named Secteur Touristique. This bustling and modern area is lined with olive and palm trees and filled with restaurants serving local Moroccan cuisine. Hotels, bed-and-breakfasts and self-catering accommodation are on offer, with most facilities being within walking distance to the beach. The simplest and most affordable option for getting around Agadir is by bus. Bus routes are mapped all over the town and are safe and comfortable (although they can get a little crowded during rush hour traffic). Taxis taking passengers around town are known as Petit Taxis and usually run on a meter. If you are looking to travel somewhere out of the city you will have to take a Grand Taxi, which is a larger vehicle that usually carries about six passengers including you (you can hire the entire taxi for a larger fare, but be sure to negotiate the agreed price with your driver before entering the vehicle).